August 2016: Latvia received two military AN/MPQ-64 Sentinel Radars as a part of the United States’ European Reassurance Initiative. September 2011: Thales Raytheon Systems received a contract for 56 AN/MPQ 64 Sentinel radars. Work was to be completed by 2014. 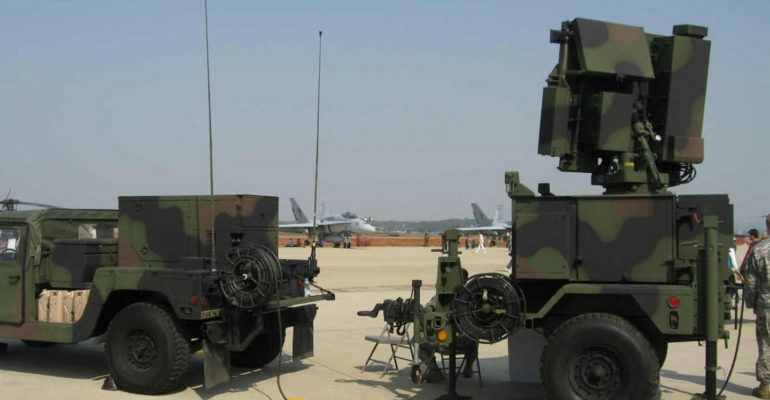 June 2010: Thales Raytheon Systems received a contract to upgrade multiple AN/MPQ-64 radars. The deal covered all modernization efforts for the system. November 2009: The Defense Security Cooperation Agency announced a sale of 6 Sentinel radars to Chile. October 2009: Thales Raytheon Systems announced that the Improved Sentinel had performed successfully in recent tests. May 2009: It was announced that Finland had selected Thales Raytheon Systems to provide 12 sentinel radars for its future medium-range air defense missile system (MRADMS). June 2008: Thales Raytheon Systems received a contract to upgrade the AN/MPQ-64 Sentinel Radar. The upgrade substantially improved performance and reliability. April 2006: The Army fielded the first AN/MPQ-64 Improved Sentinel radar to the Air Defense Artillery School in Fort Bliss, Texas. June 1997: The AN/MPQ-64 Sentinel was fielded.